After I successfully made it to Regionals I unsuccessfully competed at Regionals. The entire experience was the epitome of out of my comfort zone. I went to Regionals and was completely intimidated by all the people there; they just had better training and I was in awe of them all. I was even intimidated by the fact that I was going all the way to St. Louis for the meet. St. Louis was a huge city by comparison of anything I had seen at the time. I remember falling twice on my best event, the beam. When I ended my routine I felt so bad. I was scared Mr. Douglas was going to yell at me, but he just gave me a big hug and told me he knew I did the best I could that day. I did do well enough that year to move on from being a Class II gymnast to a Class I though. I realized there that while Mr. Douglas was a good coach and a great motivator, his techniques were not state of the art. 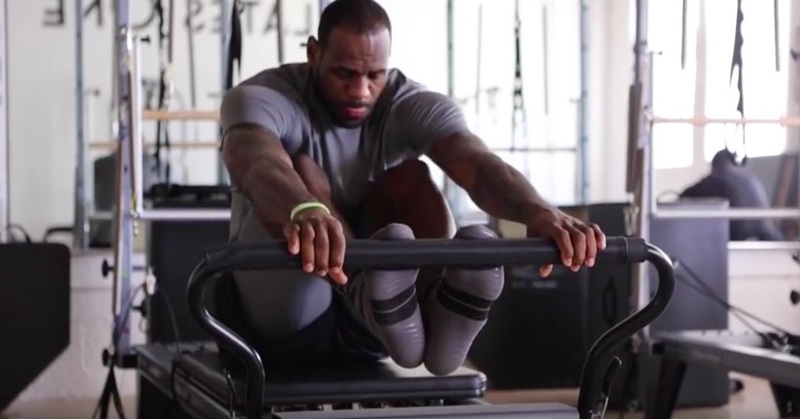 He had not trained to become a gymnastics coach. He started working on a farm at the age of six, he was in somewhat of a circus, and then he became an elementary school principal. He was very educated and had a Masters Degree and a nearly completed Ph.D in Education. 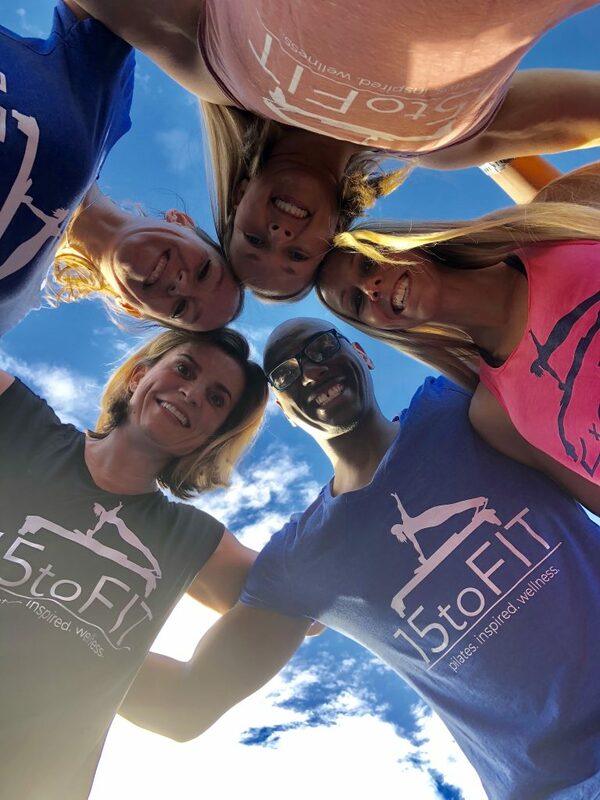 It wasn’t until he was 55 that he started a gymnastics gym for kids. He was limited to what he had in Clinton, however. He didn’t have all the right equipment. His gym was a former garage that he converted on his own. He attached an apartment to the building and lived there with his wife and daughter. The ceilings were made of corrugated metal and their were some holes when this ceiling met the walls. There was no air conditioning in the summer, just these massive industrial fans on the ceiling. Good Lord did Mr. Douglas scream at little kids that would try to stick their fingers in those big fans. You knew of some stuff you could do, but I tell you what, every single kid that had been there more than once knew not to go near those giant fans or you would get a giant yelling session coming straight at you by a red-faced Mr. Douglas. Often times, birds would fly in and if you saw one in the gym, you knew practice would be over. Mr. Douglas would appear with a pump gun and shoot them from the ceiling. He popped them off one by one and the birds would tumble to the floor mat. Someone would have to go and scoop them up after they fell. One time, a bird got caught in the fan. It was churned up, spewing blood and guts all over the whole gym, effectively ending practice that day. Mr. Douglas was and still is a short, but stocky guy. His hands and grip were so strong he could balance giant, long broomsticks on his middle finger. In Clinton, on the Fourth of July, we had a celebration called River Boat Days. The gymnasts from his club did performances at this community event. Mr. Douglas would bring out these 14 foot tall ladders and he held on to them at the bottom; one ladder in each hand. Five girls would then climb up on both ladders. One girl would be above Mr. Douglas, another girl above her while three girls hung from the each outer side of the ladders. I remember we had to hook our feet into the rungs of the ladder and do a half back bend 10 feet up in the air. When you were smaller, you were one of the girls hanging off on the outside of the ladder. As you got older, you were put in the middle to keep the whole thing stable. That’s how we learned, not only from Mr. Douglas, but from the girls who were three or four years older than us. Those girls were your idols and you aspired to be just like them. They were the ones instilling their work ethic in you. Those high school girls would bring you up like, “Hey, this is how it works here.” You couldn’t pull any of that circus stuff off now. Not in a gymnastics gym. It was too dangerous and things are too litigious nowadays. That’s primarily why he wouldn’t take any crap because he needed our obedience for safety’s sake. We were a crazy lot. 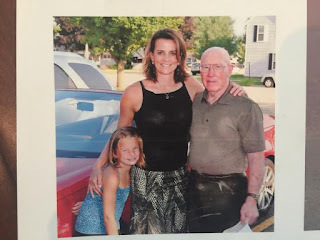 There were days when Mr. Douglas and his wife, the middle school gym teacher who doubled as gymnastics judge, would leave for eight to ten hours to accompany the lower level gymnasts to their meets. Jacque would be left alone at the gym, a mere mile from my home. So I would bike over and we would go nuts in there with some of the other gymnasts, who were supposed to be looking after us. We pulled out these old, squeaky trampolines and flipped in the air on them. Those free-for-alls made us self-reliant. If someone got stuck in the springs, we had to work together to get the girl’s limb free. There was just no option to call an adult. Karen and Jacque used to leap off of the gym’s loft onto a small high-jump pit. Mr. Douglas had constructed a loft so that parents could watch their children from above. Jacque and Karen, however, would flip off from the 20-foot high platform and land into this tiny pit by comparison. It was a miracle no one ever broke their neck, but no one did. My adventures with Jacque didn’t end at the gym. On one occasion when I was 11 and she was 12, I biked over to the gym to fool around, but arrived to find Jacque holding her mother’s keys.She told me we were going for a ride. I climbed into the passenger’s seat as she fired up the engine and drove us to Kopp’s Meat Market. I remember slinking around the grocery store terrified that someone was going to see us driving off together and call the police. One time when Jacque was over at my house swimming in our 4-foot deep above ground pool, she looked up at the roof of our one-story ranch home, then over to the fence that surrounded the backyard and the pool. She said, “You know Patty, that fence goes almost all the way up to the roof. I bet we could climb onto the fence, then on to the roof, then jump into the pool.” Without a moment’s hesitation, or more importantly, thought to the potential dire consequences, I said, “You’re right, that’d be fun!” Jacque then quickly scaled the fence, walked the top of it to the roof, then ran off the roof into the pool. She was her father’s daughter after all. I followed immediately after. We got back out and did this over and over again that first day. Soaking wet, running on a sloped roof of tile into an above ground pool that was only four feet deep and at least a five foot long clearance from the house to reach the edge of the pool. Of course no one was home and they let us swim in the pool anyway. It was 1980. Nobody cared about supervision. That was for sissies! Ha! Jacque and I are a multitude of our other teammates did this for three straight summers. And then…my sister! I made the mistake of talking my non-gymnast, normal-person sister into jumping off of the roof too. I should’ve considered that when I had to physically push her up the fence so she could get up that maybe she wasn’t cut out for this. I gave her exact directions on how to place her hands and feet to get from the fence to the roof, (my Pilates cueing skills were developing even then). She reached the roof shaking like a terrified Chihuahua and screamed with drool coming out of her mouth, “I won’t jump! I won’t jump!” “SHUT UP!!! !” I whisper-yelled. “You’re going to get us all in trouble. It’s not like you’re on top of the Sears Tower. Just jump already” I knew our neighbor Nosy Rosie was going to be over any second, which of course happened. She brought her daughters, our lifelong babysitters, Lorraine and Monica too. They were mad at me and blaming me for the whole thing. I uttered what is currently my 13 year-old son’s favorite phrase,”What?! I didn’t do anything.” Then the firefighters from across the street came over, not the hot kind either. They helped her get off of the roof via the climbing onto the fence which was totally ridiculous in my 14 year-old mind and much more dangerous than just jumping into the pool. After all I’d done it a thousand times and nobody had ever gotten hurt. Granted, we were all skilled gymnasts that were fearless, but that was besides the point. Next up, my Mom and Dad came home from work. My Dad was so pissed he was spitting when he yelled as fast as possible like it was all one sentence with no time to answer any of the following questions, “You’ve could’ve broken your God Damned Neck! What were you thinking?!! Are you an idiot? When I think of one of you kids slipping on that wet roof and tripping on that gutter, falling and smashing down onto the concrete because you missed the pool. Oh My God! What the hell is wrong with you? !” To this day I remember my little 14-year old daredevil gymnast mind and the following thought that ran through my head, “Oh my God! He’s so crazy. There is no way that would EVER happen. What we were doing was completely safe. I’ve done it thousands of times and never even came close to stubbing my toe. Not one drop of blood was shed due to this. It was nothing but fun and now it’s all been ruined because my sister is a wimp!” Of course I never said this to him, just muttered an “I don’t know” with a shoulder shrug and an apology that I obviously didn’t believe. I also disclosed to him that we’ve done it “a couple of times”. The honest answer of course would’ve been a couple of times today, a couple thousand times over THE LAST THREE YEARS! Thank God my sister was caught! It probably saved my life having someone with a voice of reason or a life protecting sense of fear, which had almost been all been trained out of us by gymnastics and Mr. Douglas. I mean, we were afraid sometimes doing skills, especially for the first time, but you learned how to manage it. Besides encouraging us to manage our fear, Mr. Douglas was tough. I recently visited a high school friend in Washington, D.C. while I was there for a fitness conference. His sister had taken gymnastics lessons back when we were growing up. We met up for coffee and we ended up talking about Mr. Douglas. As a kid, this guy remembered watching his younger sister at the gym and thinking Mr. Douglas was really mean. I couldn’t help but defend my coach. He wasn’t mean or abusive; he just didn’t take any crap. He wouldn’t let you loaf around. He had his expectations and he expected you to meet them. If you didn’t, you were probably going to get shouted at. Not vituperative insults, but more like, “Get over that vault! You can do this!” It was a survival of the fittest situation and you could either step up or go home crying to your mommy about your mean coach. On top of it, we’re talking about little girls in the ’70s and ’80s, long before they started pushing girls in sports. Even still, I never thought he was excessive or extreme. What he did was a big deal at the time. It wasn’t like it is now where there is a big sports culture for girls; Title IX happened in 1977, so he was training girls before it was cool. We didn’t know the impact that stuff would have on us, but athletics gives you so much in the way of confidence and independence and before Title IX, there was nothing like that for women. Our high school had a really good gymnastics team because Mr. Douglas was their feeder system. He was the foundation for all of our success in later years. 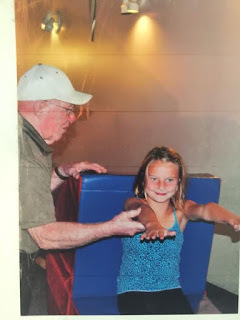 Though I began my gymnastics career at the Y.M.C.A., Mr. Douglas was the first legitimate coach I ever had and his gym was the first gym I ever really trained in. He was the foundation for my success, whose teachings I’ve applied far beyond the limits of the gym walls. From Mr. Douglas, I learned about motivation, perseverance, and a respect for hard work. His sheer joy in his work, in wanting to teach girls how to be strong, was inspirational to me. It not only inspired me to continue to work as a gymnast in college, but my work as a Pilates instructor. I aim to be the Mr. Douglas of whatever it is that I do. Brooke, me and Mr. Douglas.